From an early age drawing and painting were my way of expressing my creative side. My still lifes and landscapes are a natural extension of my love of nature. 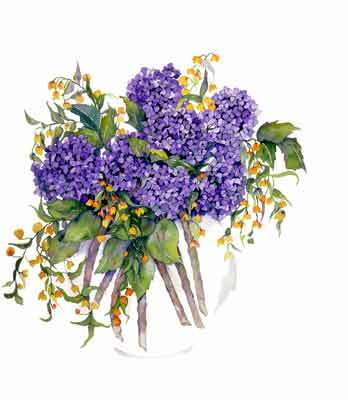 Originally an acrylic painter I was introduced to watercolor by Roger Armstrong at the Art Institute of Southern California in Laguna Beach. My first class was so inspiring I switched. 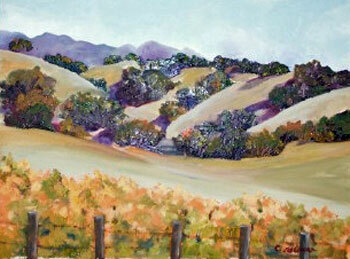 When I moved to the Santa Ynez Valley I took up oils and now paint in both mediums. At this point I feel my work combines elements of realism with contemporary and Asian influences. I am facinated by color and light and hope the viewer is drawn into and given joy through my paintings. I hope you will accept my invitation to share my special way of seeing.